The Idaho Panhandle Chapter of Trout Unlimited invites you to attend a general membership meeting on Monday, May 6, 2019 beginning at 6:00pm. The meeting will take place at the Idaho Department of Fish and Game Panhandle Regional Office located at 2885 W. Kathleen Ave., Coeur d’Alene. Door prizes and raffles offered. The Panhandle Chapter of Trout Unlimited will hold its fall banquet on Saturday, March 31st at the Ponderay Events Center. Ivano’s will be catering a delicious dinner buffet and will host a cash bar. Tickets are $55 for singles and $100 for two. There are lots of great door prizes, raffles, and auction items (both silent and live), and you won’t want to miss the opportunity to grab some great items while enjoying great food and great company. Tickets are available by email at info@panhandletu.org. Hello! 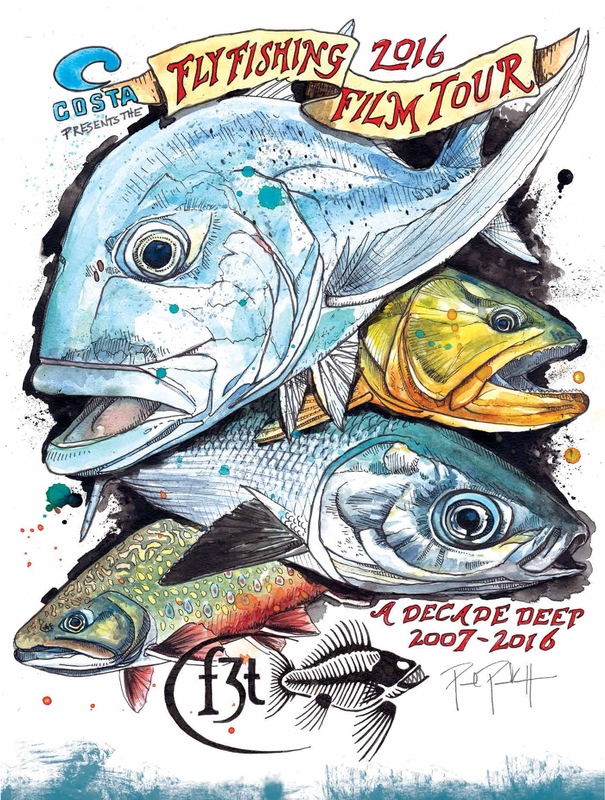 Do to some logistic difficulties with the change in location, the 2017 Trout and About Festival will be held where its always been…513 Oak Street in Sandpoint, i.e., Evans Brothers Coffee or “the granary.” Hope to see you there! Scroll down for a partial list of all the great items we have to raffle off. Door Prizes as well! In cooperation with Avista, Idaho Fish & Game, and Montana Fish, Wildlife & Parks, the Panhandle Chapter of Trout Unlimited, has launched the new “Take No Bull” website. The website is part of our collaborative efforts to educate about the threatened Bull Trout species and to promote clean and clear water in our rivers and lakes. 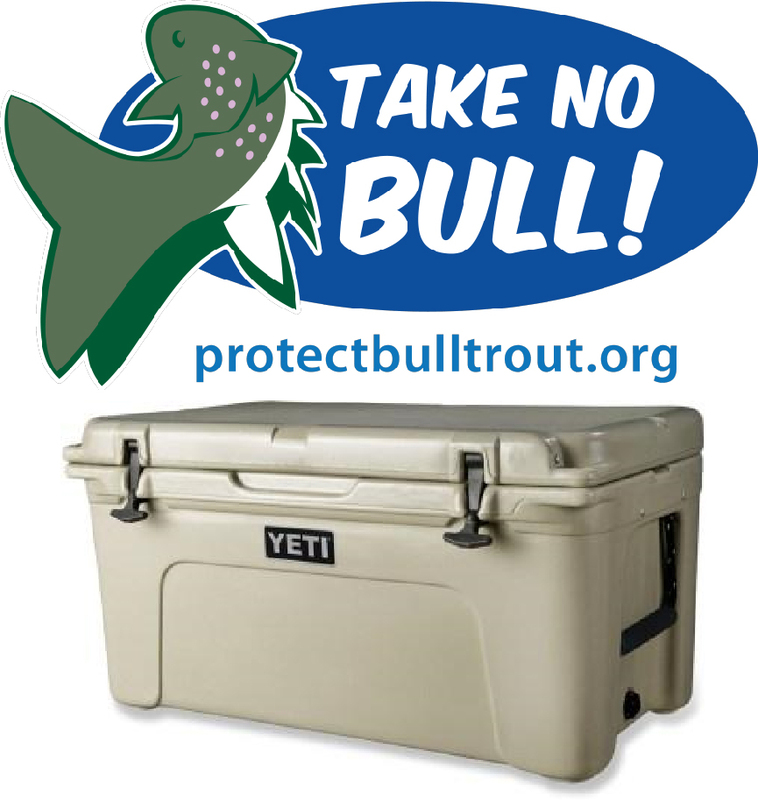 You can win a YETI Tundra 65 simply by registering your name and taking the bull trout quiz. Know your fish? Here’s your chance to prove it and WIN. The Kootenai National Forest recently released a Draft Supplemental EIS (DSEIS) for public review with a 45-day comment period ending April 19, 2016. The Rock Creek Alliance requested an extension of this short comment period to give us and our experts enough time to review the EIS and supporting documents, and report back to you about the changes and deficiencies in the mine plan. The Kootenai National Forest Supervisor denied our request, stating that the DSEIS is not a lengthy document. We think 990 pages is a lot to expect the public to read, and note that the Forest Service and mining company consultants had six years to work on the DSEIS. It’s disappointing, but not unexpected that the Draft Supplemental EIS dismisses impacts to Idaho’s waters claiming, “No impacts to Idaho waters are expected.” Given that the mine plan still calls for a perpetual discharge of pollutants to the Clark Fork River, this is clearly untrue. Unfortunately, this proposal hasn’t gotten any better, and still poses substantial risks and known impacts to water quality, wilderness, wildlife, and local economies. 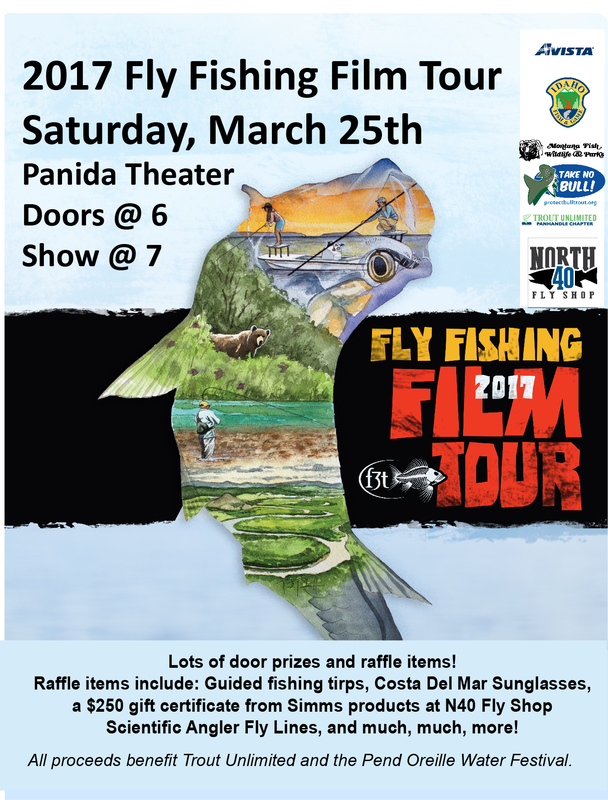 The Fly Fishing Film Tour is coming to Sandpoint at the Panida Theater on Friday March 11th. Panhandle Chapter, along with the sponsor North 40 Fly Shop will be hosting this fundraising event. 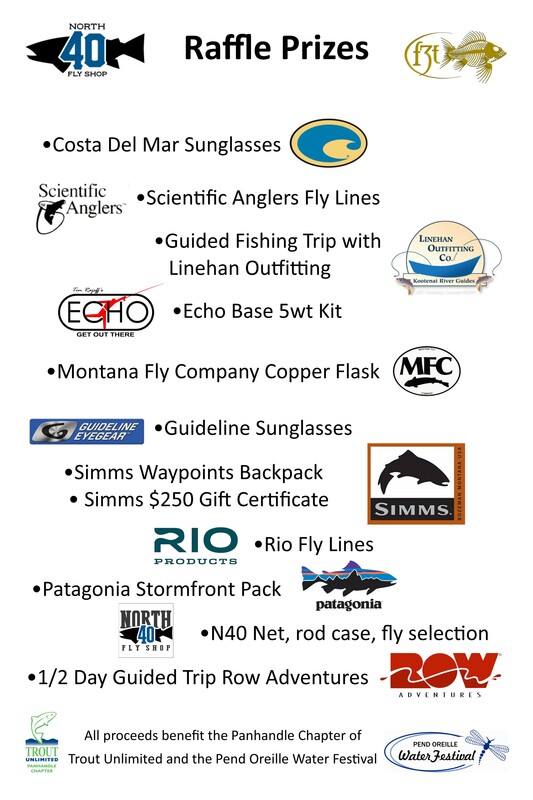 We’ve got great raffle items from Simms, Echo, Patagonia, Scientific Anglers, and more! Visit our Facebook page for more details and raffle updates! Doors open at 6:00 and the show will begin at 7:00. 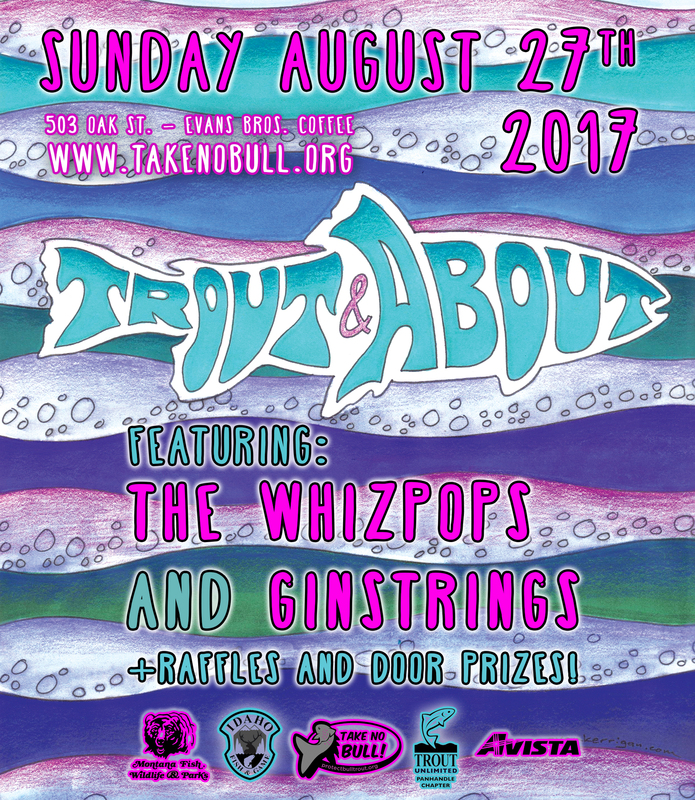 Tickets ($12) are available locally in advance at North 40 Fly Shop, 208-255-5757 (ask for the Fly Shop) and Eichardts Pub. They can also be purchased online for $14. If available, they can be purchased for $15 at the door on the night of the event.